Lady Bizness is proud to launch our Give It To The People Podcast. This will provide our listeners with an opportunity to meet great entrepreneurs and business owners in the Triad and beyond. Our podcasts will also feature some of our live events, which is great for those who can't attend in person. Feel like you were in the room and get the information you need. Feel free to subscribe and share with others. Listen to "In Plus We Trust" on Spreaker. Listen to "HOW TO GET YOUR PRODUCT IN STORES" on Spreaker. Listen to "How to Build a Cool Nonprofit" on Spreaker. Listen to "Mental Health & Entrepreneurship" on Spreaker. Listen to "How to Have Passion Like Fire with Sylvia Reid" on Spreaker. Listen to "Kings With Crowns" on Spreaker. Listen to "Men's Style with Sharee" on Spreaker. Listen to "Multilingual Mom on a Mission" on Spreaker. Listen to "Self Pleasuring & Sensuality" on Spreaker. Listen to "Give It To The People Podcast" on Spreaker. In an effort to serve more people and keep information accessible and very affordable for the budding business owner we have created a monthly Give It To The People Membership Group. This members only group is focused on providing you with tangible, actionable revenue building tools, tips and ideas. Helping entrepreneurs and small business owners grow one post at a time. 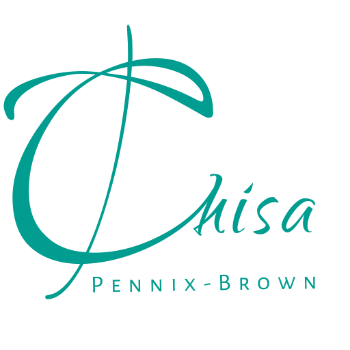 This is a synergistic group hosted by NC's #1 Small Business Facilitator Chisa Pennix-Brown, MBA of Lady Bizness! All of this for only $15 per month and if you just want to try it out your first month is only $7.50!